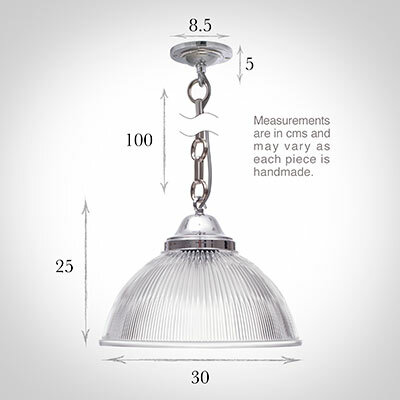 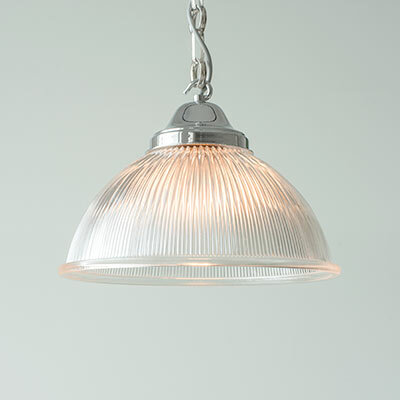 A stylishly simple glass and brass pendant light finished in nickel. 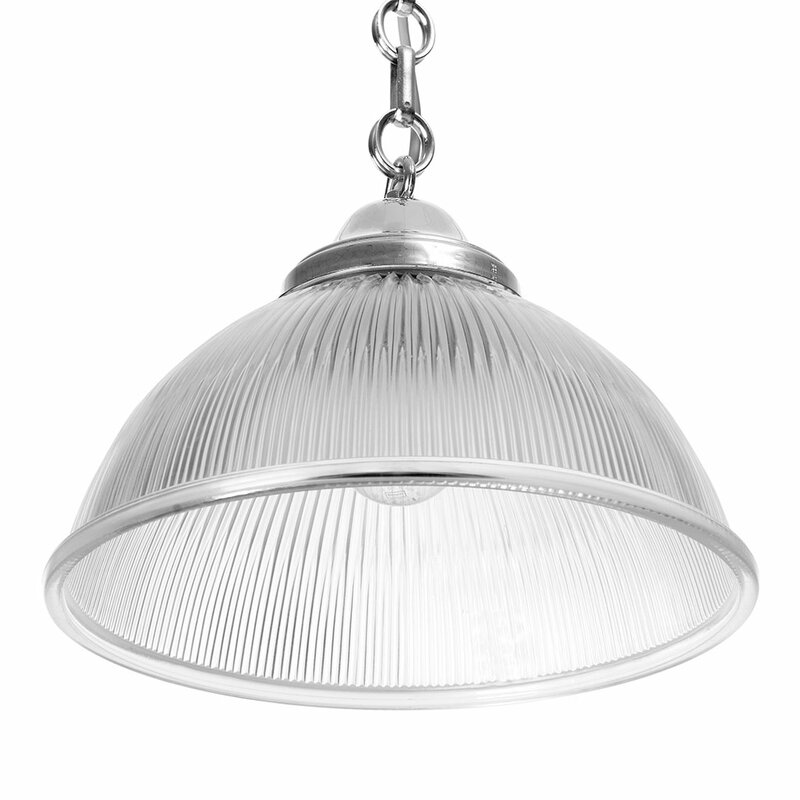 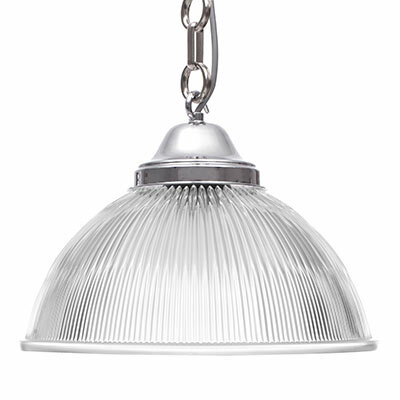 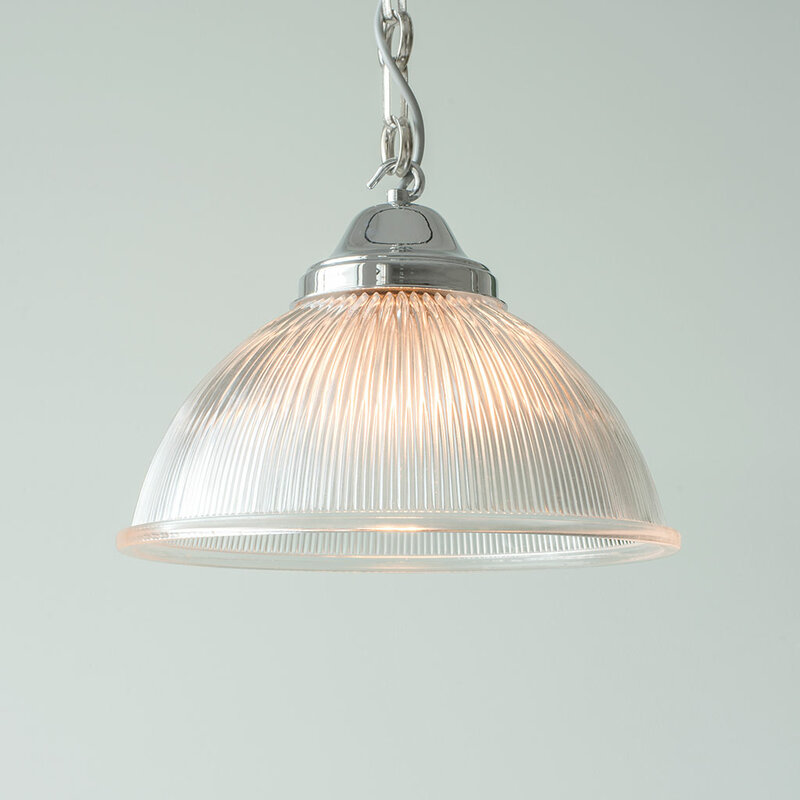 This pendant light has a lovely reeded glass shade that would look beautiful over a dining table or in a kitchen. It also has a clever hidden flex that runs through the chain to finish off its look. 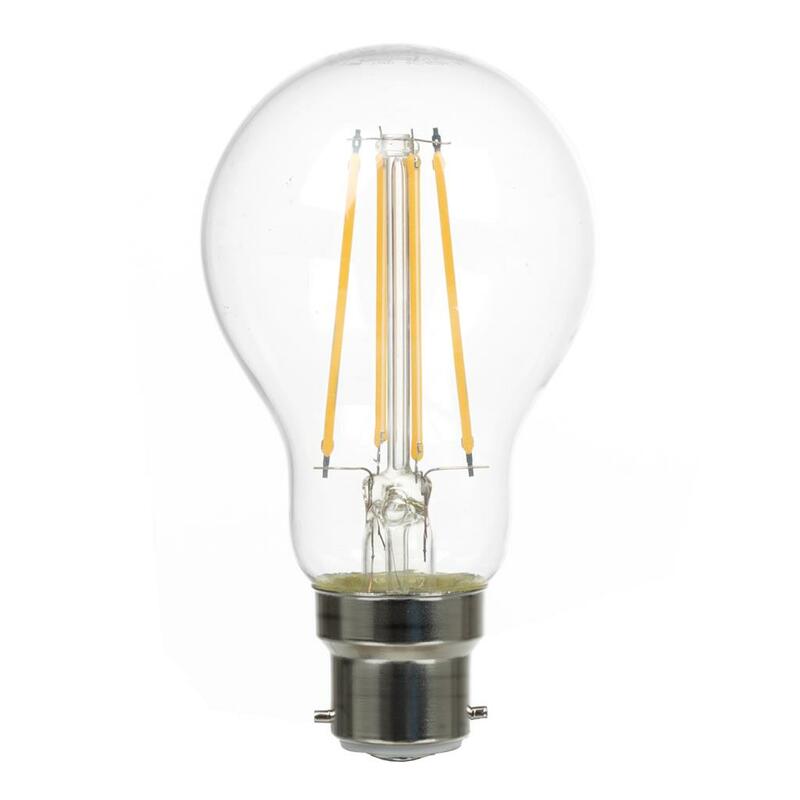 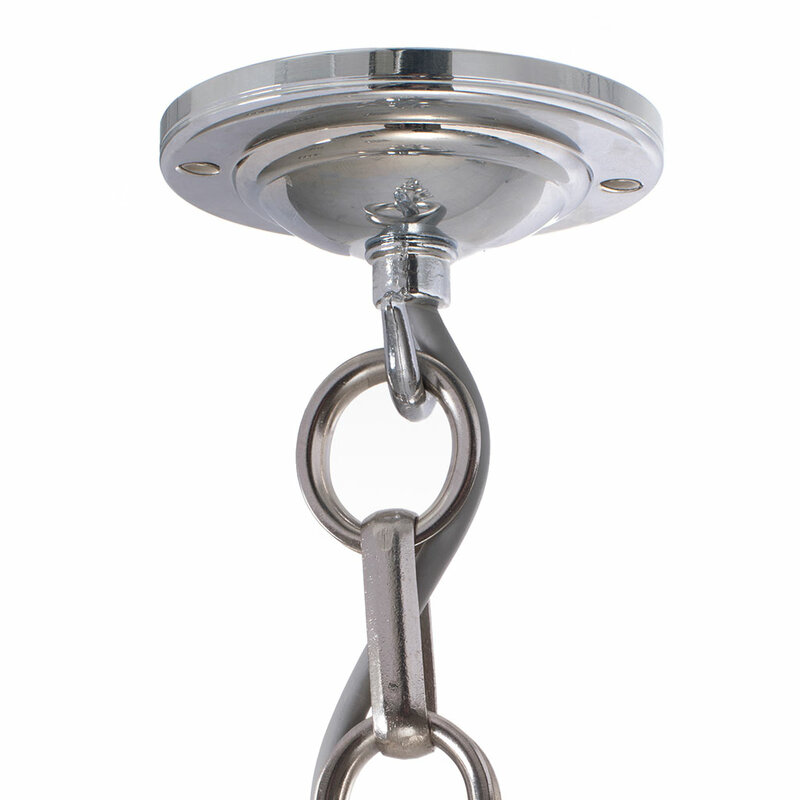 Fitting Option: Can be supplied with E27 (large edison screw) bulbs for Europe, please call for more information.